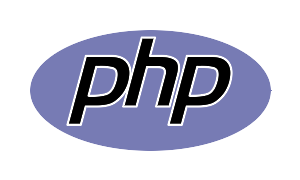 PHP programming languages provides a lot of different type of functions for string manipulation. In this tutorial we will look how to find some part of the given specified string or text. We will use popular function named substr() . We will start with the syntax of the substr() function. This functions have 3 parameters. This function will return a string which is a sub-string of the given string. As we can see length is optional parameter but $string and $start are required parameters. $string hold the string we want to get some part of. $index is the index value we want to start the substring selection. We will start with a simple example. In this example we will provide the index we want to start and continue to the end which will be a substring. We will start from index 3. Keep in mind that index start from 0 which means P is index 0. Following example will print tut.com . echo substr($str,3); //Will print "tut.com"
echo substr($str,3,3); //Will print "tut"
echo substr($str,-3); //Will print "com"
echo substr($str,2,-3); //Will print "Pof"
How To Create phpinfo Pages?